Timber Wharf is a prestigious development in the heart of Manchester. The tenants had been experiencing issues not long after completion in 2002. 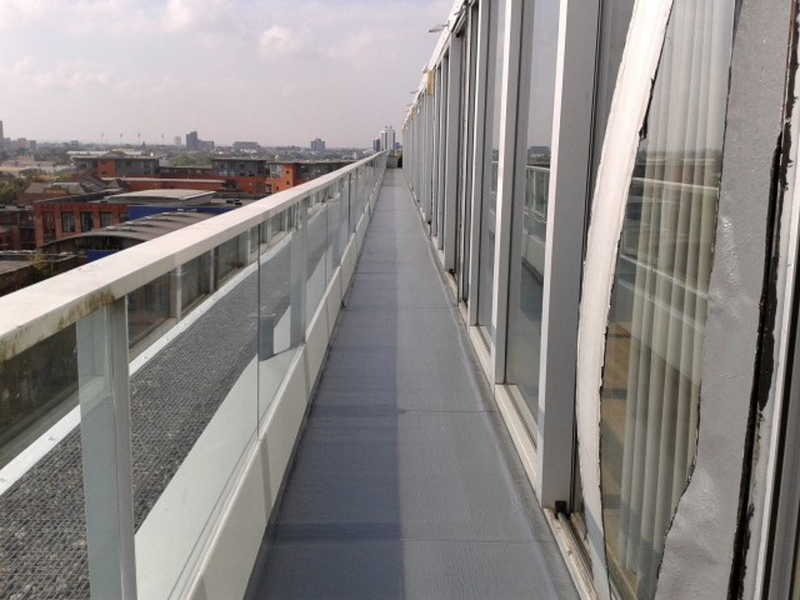 To rectify these issues a Sika Liquid Plastics Cold Applied System was specified for the roof and the penthouse balconies. Surface Protection Coatings Ltd are Quality Assured (QA) Contractors and were chosen to undertake the project for the client. 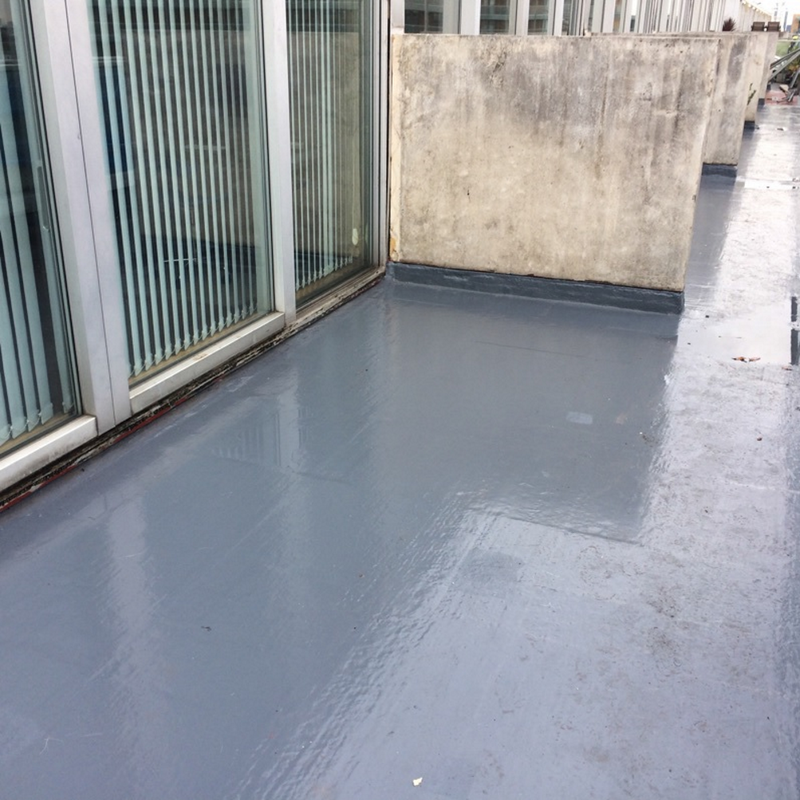 The roof area received a Sika Liquid Plastics Decothane System. The balcony areas proved to be more challenging with the decking needing to be removed, the doors had to be individually taken out so the liquid waterproofing membrane could be installed and then put back. 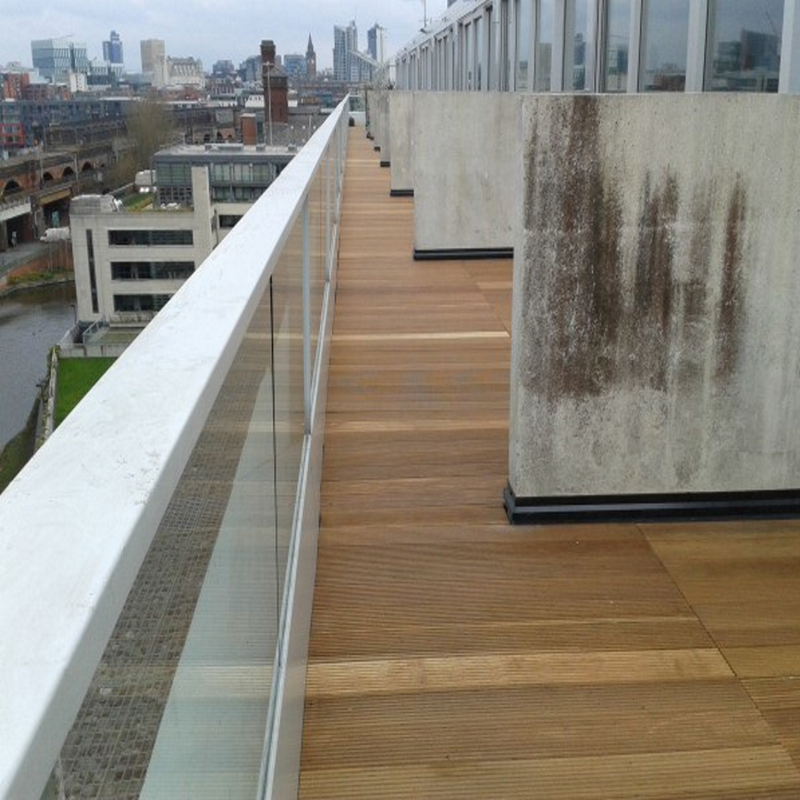 The coating system was applied to all balcony areas and upstands and then a new timber deck fitted throughout.